Promoting a healthy household and a sustainable environment is at the forefront of everything we do at Chem-Dry of Tampa FL, from our proprietary low-moisture cleaning process to our green-certified solutions. It is our goal to offer customers a cleaner and healthier option for professional carpet, area rug and upholstery cleaning. Long before ‘going green’ was ever a factor in choosing a carpet cleaning services, Chem-Dry was working to reduce the impact of our products on people, pets, and the environment. For more than two decades, Chem-Dry has been cleaning with a safe, non-toxic solution that uses 80% less water than typical steam cleaners. Our process is copied from Mother Nature to refresh and deep clean your home’s carpets without harsh chemicals. Your home’s healthy environment is important to us. That’s why Chem-Dry is constantly working towards making better green solutions for carpet and upholstery cleaning that are safe for your family and have minimal impact on the environment. 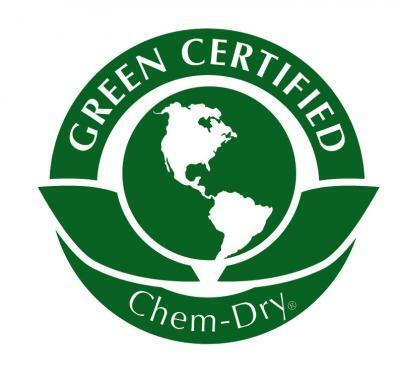 In addition to The Natural, Chem-Dry of Tampa FL offers a number of other products that meet the qualifications to be classified as Green-Certified. From pre-sprays, cleaning solutions, protectants, and consumer based products, green certification is at the foundation of our cleaning solutions. If you’re looking for the safer, healthier, more environmentally choice in carpet cleaning, call Chem-Dry of Tampa FL at (813) 402-8403.